Recently, the market of artificial building materials has become increasingly active. 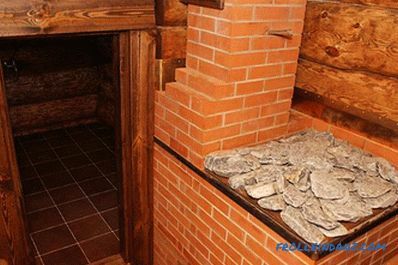 However, natural wood is still in great demand among people. This is not strange, because such a material has natural beauty and durability, which is a prerequisite for construction and finishing works. Wood floors have always been and will be in demand because this material is natural, safe and attractive. Next, we will consider the method of laying the floorboard, which is used most often. Here will be described all the main nuances of the work. Floorboards thanks to this technology will always be smooth and durable. This is required for this type of work. The technology of laying the floorboard will be discussed in more detail a little further, but first you need to pick up all the most necessary tools and materials. 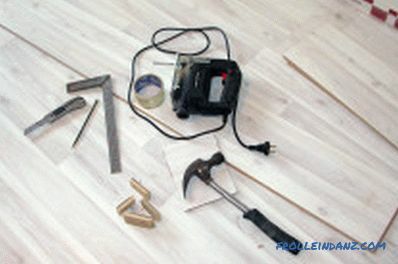 For laying the floorboards you need: a screwdriver, a hammer, nails, screws, a jigsaw, tape measure, etc. These materials will be enough to make the floorboard laying technology feasible. When everything is assembled, you can proceed directly to the installation work, which begins with the installation of the lag. Mounting lag pattern on the floor. The technology for laying the floorboard involves the use of lag. Most often for their installation wooden bars are used. You need to mount the timber on the edge. At the same time, there must be a certain gap between each lag. 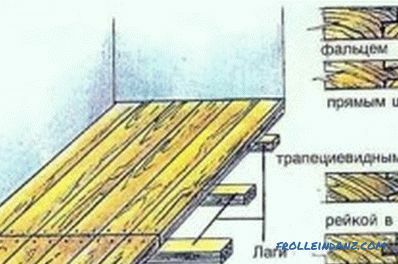 Most often it is made no more than 1 m. In this case, the floor will be more rigid, and this is necessary according to the technology of laying the floorboard. Here you can set one very simple pattern: the thicker the board is used, the larger the step can be left between each structural element. After the lags are laid down on their rightful places, it is worth checking their horizontal position once again. This is done using a level. In this case, you can use the most primitive fluid tool. Now lags must be fixed. For these purposes, screws and dowels are used. 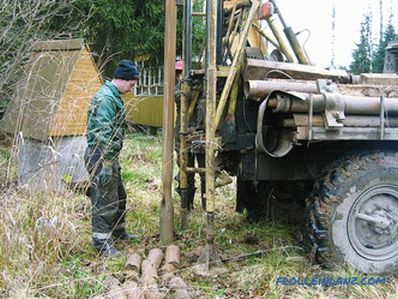 In some situations, anchor bolts can be used. It will be appropriate to do when the bar is too thick. Insulation must be placed between the lags. The heat insulation layer is an integral part of any floor. He will keep the heat in the house even in the most severe frosts. For arranging the insulating layer, you can use a variety of materials. If we are talking about laying the floorboard on the 2nd floor, then there is no need to organize thermal insulation - this stage of the work is skipped. It is mandatory to lay it on the 1st floor. For work mineral wool is used. It can be in the form of plates or simply in its normal form. It does not matter. Most importantly, put it right. This is done quite easily. It should be located between the bars that were installed earlier. In this case, it is laid in a layer with a thickness of 10 cm. 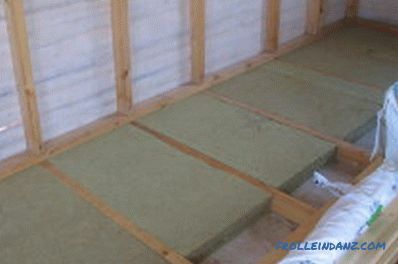 A waterproofing material must be put on top of the mineral wool. Asphalt or roofing felt can be used. The 2nd option is preferred, since the material is cheaper and reliable. It should be fixed with the help of stepplera. At this stage of work related to floor insulation, can be considered complete. Now you can go directly to laying the floorboard. The floorboards must be well dried before installation. This is the most important and crucial stage in all work. 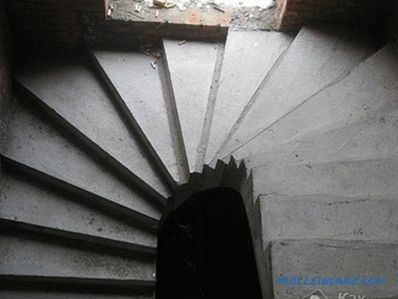 On how well the flooring will be laid, the future integrity of the structure directly depends. Boards before laying must be prepared. They must be thoroughly dried. To do this, the material for about a week should be put in a warm and dry place. Only in this case the board will be qualitatively prepared for the work. In fact, it takes much longer to dry out, but this will be enough to prevent the material from warping. Warping is a rather dangerous phenomenon. Raw products can not be used for laying boards on the floor. Very much the likelihood of the occurrence of cracks on them, which may appear both during the work and during the operation of the floor. The first board must be laid at some distance from the wall.2 cm is enough. This measure will help prevent deformation of the structure if the material changes its dimensions during operation. In order to fix the board to its mounting, be sure to set the distance between the wall and she needs to install wedges. In this case, the gap will not change in the process of attaching the material. The direction of laying the boards is chosen perpendicular to the previously installed logs. It uses a grooved board. This means that the fastening is done with a lock. He is very primitive here. The groove of one board is put on the veneer of another. At the same time do not forget about the additional mount. For these purposes will be used screws. They are screwed with a screwdriver. Their length is selected according to the thickness of the floorboards. It is best to mount the screws in the groove of the board. 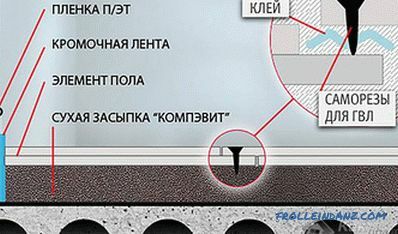 Then it will be possible to avoid the appearance of caps sticking out above the surface. They will be very elegantly hidden. When the work is completed, the screws will not be visible. That is why the grooved board is the best option for the floor. All subsequent structural elements are mounted in the same manner as described above. Thus, the result is a very nice floor, which can already be used for its intended purpose. However, it is better to polish it so that it becomes smoother and more attractive. After the wooden floor is made, it only remains to be polished carefully. For these purposes, a special grinding machine is used. This tool today can be purchased at almost any specialty store. If you do not want to buy it, you can ask your neighbors or friends for rent. With the help of a grinding machine, you can easily and easily get rid of all surface irregularities, as well as eliminate joints between boards. A great tool that is often needed on the farm. Instead of a grinder, you can use an ordinary grinder. With it, you can perfectly handle the surface. The grinding process itself takes not so much time. As a result, there should be an absolutely flat base without any defects. Joints and other irregularities should be completely excluded. After the grinding process is completed, you can proceed to the final stage of work, which consists in surface treatment with a special protective composition. 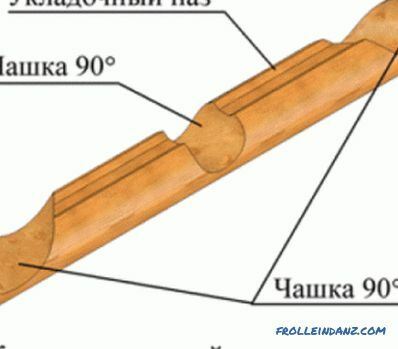 This measure is necessary when working with wood. The flooring can be covered with an antiseptic. 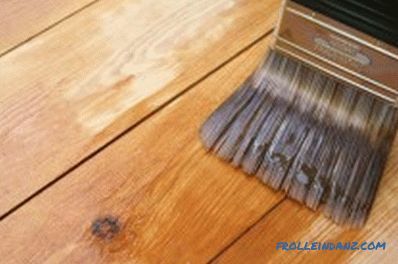 To preserve the original appearance of the floorboards, they must be treated with an antiseptic. You can use a transparent or translucent version of this substance. This will preserve the original appearance of the wood. Often, it is she who decorates the house. Antiseptics will protect the surface from the formation of mold and mildew. It will not develop microorganisms that can harm human health. Alternatively, paint or varnish can be used. These coatings cope well with the aggressive effects of external factors. Thus, the process of laying the floorboard can be considered complete. As you know, this is nothing complicated. All work is done fairly quickly. Most importantly, at each stage strictly follow the instructions given above. 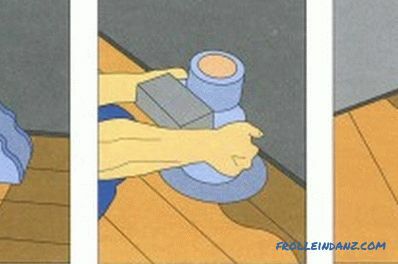 This will make the floor really strong, reliable and durable. The use of natural materials always brings its own flavor, even in the most ordinary-looking structure. 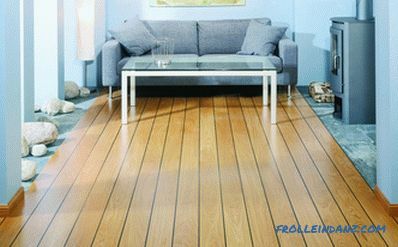 Absolutely any floor made of natural wood will serve its owner faithfully for many years. The above is specifically created for those who are planning to start arranging wooden floors in their home or country house in the near future. How attractive is the Canadian felling? 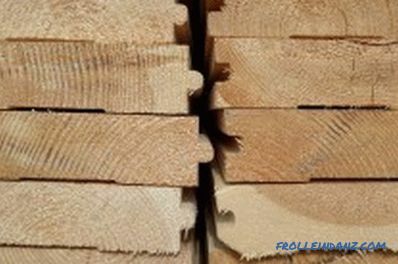 Canadian felling: a description of the technology, its advantages. The history of the Canadian logging. 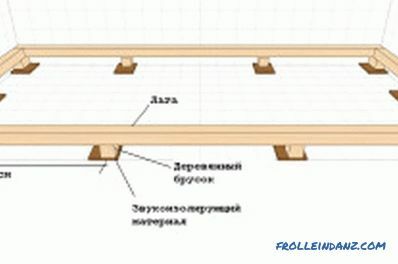 Features of the use of northern pine and larch for cutting in Canadian.